SLATE’s Feel Good Vintage Fair is coming to Armley! Yes that’s right! Eek! 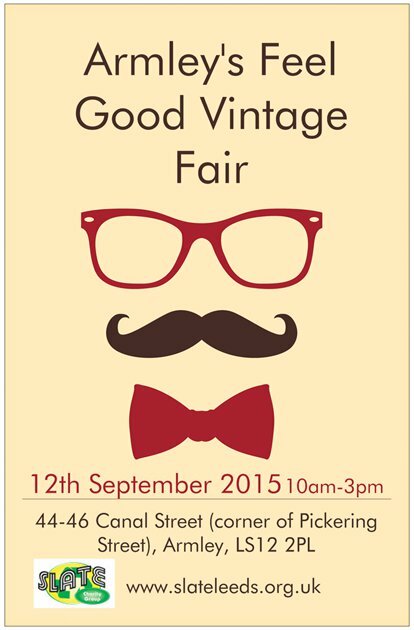 SLATE’s 3rd Vintage fair will be hosted by our Armley Feel Good Furniture Shop.